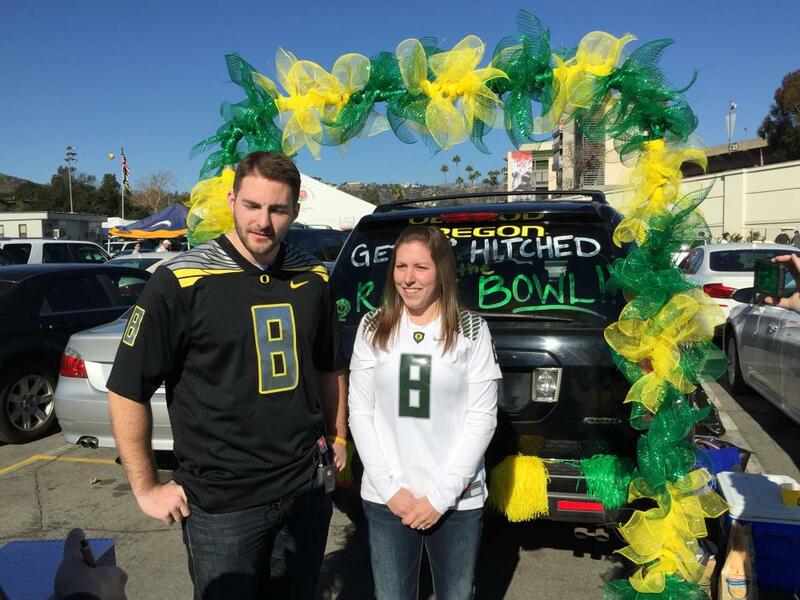 With this football, I thee wed.
A pair of Oregon football fans who attended the Rose Bowl game will remember the day for more than just the Ducks win. It is also their wedding day. 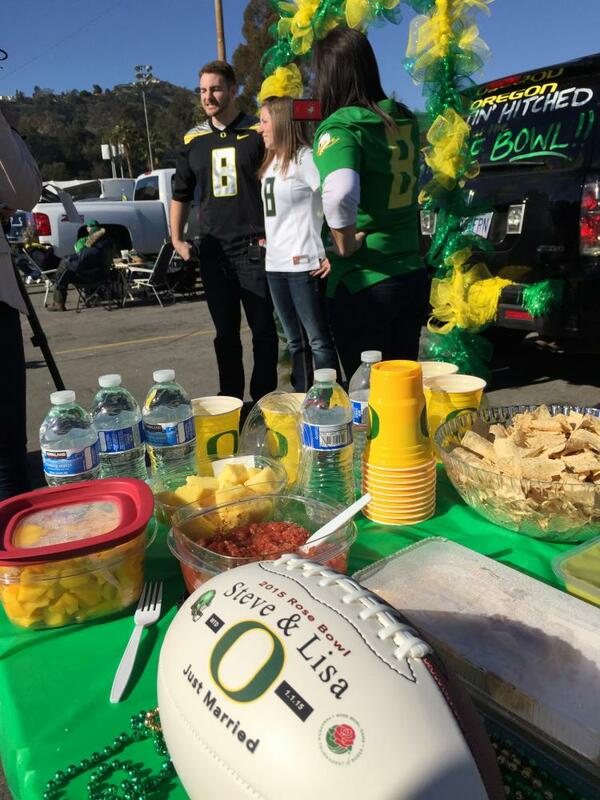 Steven Twomey and Lisa DeFluri of Eugene exchanged vows at a tailgate party in the parking lot of the Rose Bowl stadium before the game. 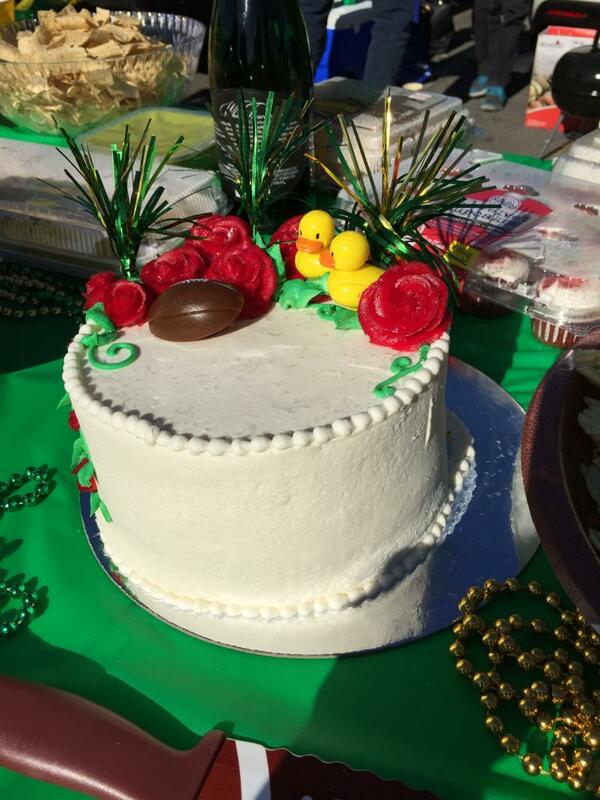 Dressed in Duck jerseys, the two were married by Twomay’s stepdad under an arch of green and yellow taffeta. “It feels really surreal right now,” DeFluri said right after the ceremony. “Yeah, everybody is stopping by and congratulating us,” Twomey added. The couple likely the idea of a football themed wedding but hadn’t figured out the right venue, so they booked a beach wedding instead. 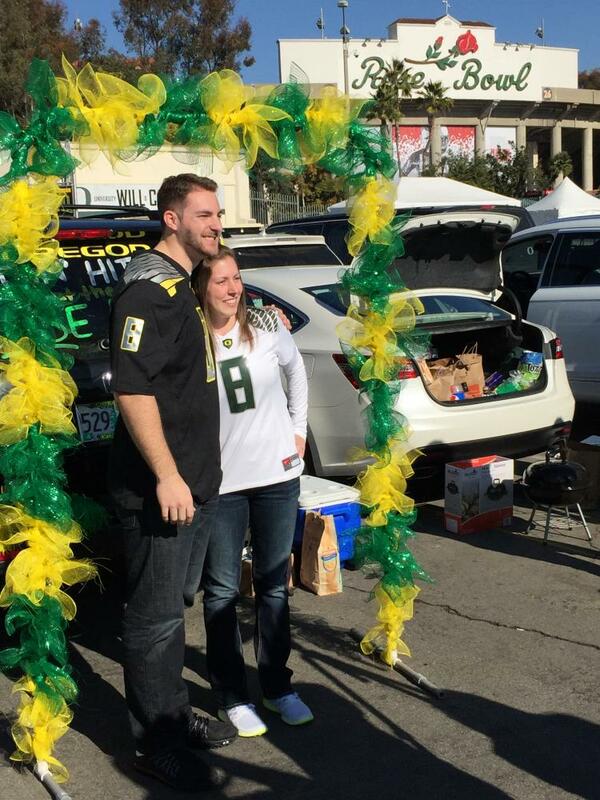 When they learned their favorite team was headed to the Rose Bowl, they quickly changed course and decided to tie the knot in Pasadena. Twomey’s mom witnessed the event, and held a cell phone with DeFluri’s mother watching via Skype. Looks like they may be able to honeymoon in Texas.